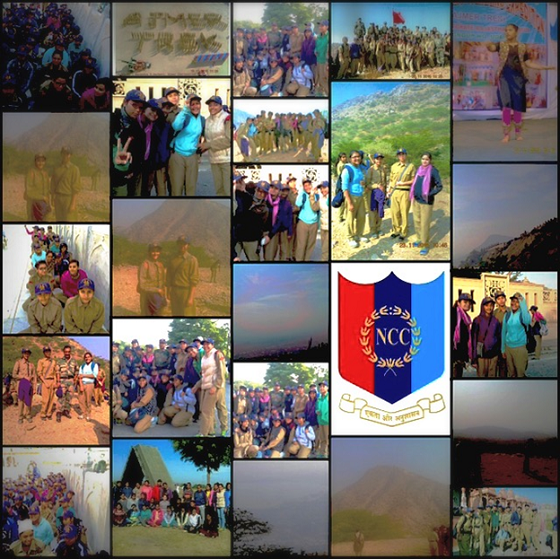 From being welcomed by the thousands of stars in the night sky to bidding goodbye with tears All India Girls NCC Trekking Expedition was a journey to remember. Our days went in climbing the mountains with narrow paths and nights in practicing for the cultural program. We did many odd jobs like picking up stones, cleaning the city, serving food to people etc. We met children from different parts of the country and befriended them. We learnt some words of their language and interesting things about their culture. Representing the Delhi Directorate we took part in different competitions like Kho-Kho, Tug of War, Poster Making etc. We visited Ajmer Dargah Sharif and Narelli( a Jain Temple). Muskan Singh and Zainab Aasim Nadvi secured the second position for Kho-Kho and Khushi Rathi won a silver medal in Stage Decoration. As Eleanor Roosevelt said“The purpose of life is to live it, to taste experience to the utmost, to reach out eagerly and without fear for newer and richer experience.” And that’s what we exactly did there.